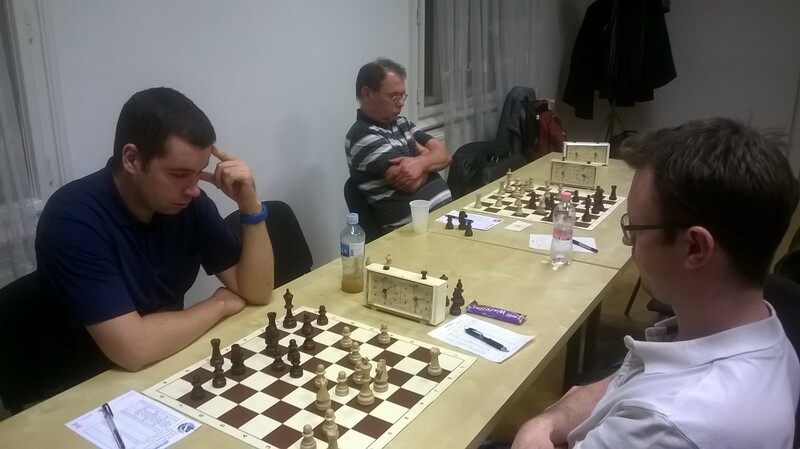 I contributed a draw on board 12 on the White side of a Benko Gambit. My position looked promising but misplayed a winning position. White initiated tactical play and the following position was reached after 21..Bxe5(diagram) I liked my position as the Be5 is unstable and the d6 pawn vulnerable. White continued with the logical looking 22.f4?! (better was 22.b3 undermining Nd3) 22..Nxb2?+-(diagram) and White should win. Black has problems with loose set of minor pieces and weak d6 pawn. All that is left is to calculate the finish which I failed to do. Lets the win slide away Better was 23.Qb1!+- and White keeps the Nb5 under guard and keeps the extra piece or 23.Qa1 when the queen makes deadly threats on the long diagonal after 23..Nxa4 24.fe Qxa4 25.Bh6 etc. White is still clearly better but I continued to make inaccurate moves in a sharp dynamic position and the result was an eventual draw. I won a lost position on board 3 in mutual time trouble. Black should have played 24..c5!-+ with a crushing postion. However, I was too focused on the kingside and played 24..Nh5? giving White the better chances. Much later in the game I played 41..R1d2(diagram) when Black was not suffering as much as earlier in the game. Not exactly a high quality effort on my part but my good fortune continued from the last team match where I also saved a lost position. 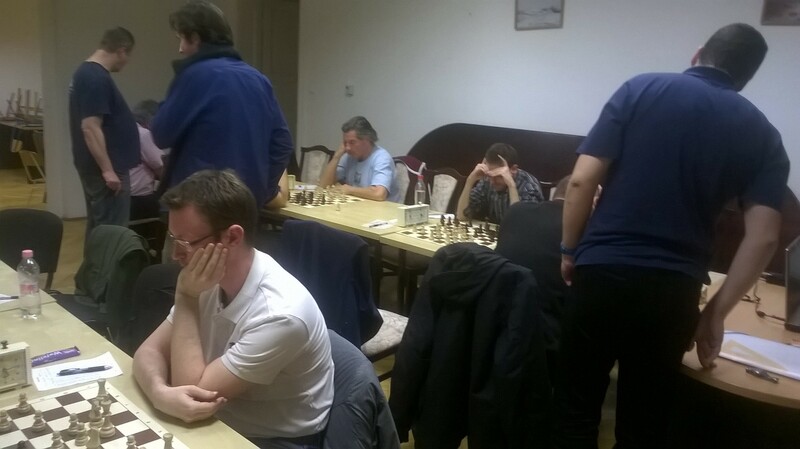 Team Captain Attila Balla was taking pictures early in the round so there will be photos soon. The starting list to date. I saved a bad position with a useful draw as Black. White had a think and played the obvious 21.Nxg6! and won a pawn. White played 33.Re2 giving back two pawns and I was back in the game. I should have played 43..Ke5! and Black is winning with the active king and fast a-pawn. Instead I focused on counterplay with 43..a5 and eventually earned a draw. So there it is. I must study openings, middlegames and endings. 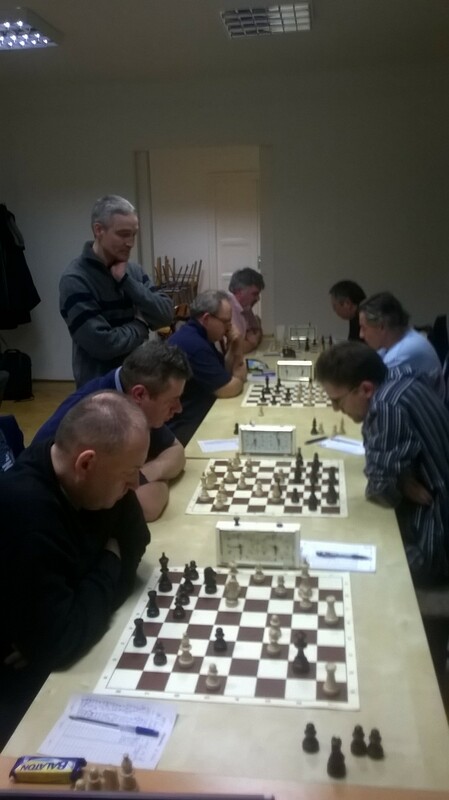 Bohus Adam took first on tiebreaks over veteran Kis Bela, Kovacs Marton and FM Kosztolanczi Gyula; all with 5/6-Well done! 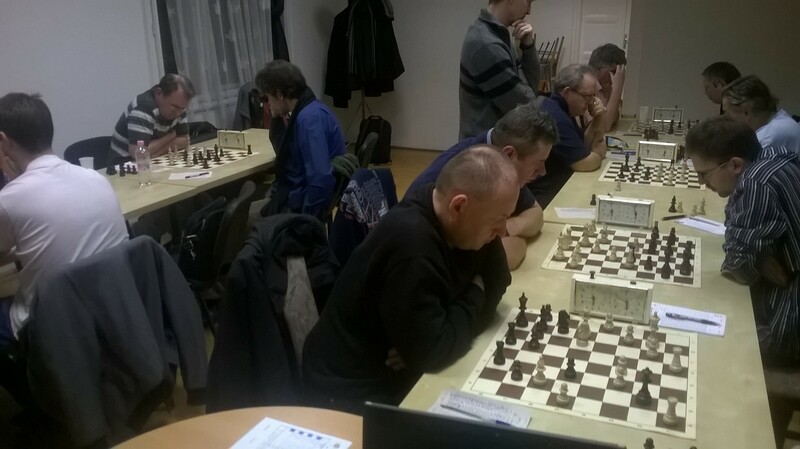 Szabo Marton Mihaly won the elo lottery and picked up a whopping 92 elo points. I had a draw and a heartbreaking loss to my MTK teammate Laza Szabolcs in the last round. All in all, this tournament was a great time. I was quite surprised to see another Canadian player-Suller Lorant-who was visiting from Austria where he works. Even more surprising was his excellent command of Hungarian. The entry was a bargain at 3,000HUF(10EUR) so the Art Pub series of events is a real Budapest bargain. I just played 32..N8f6? (diagram) when should lose. White was in some time-trouble and zoomed in with 33.Qd6? (diagram) This is just a complicated bluff but I fell for it. All I had to do was take the bishop but…I saw some ghosts and played 33..Nfd7?? After a long think I played this nonsense move. There followed 34.Bc4 a5 35.Qc7 Qb7 36.b4 ab I calculated to here and thought Black was fine. And now I saw the light after 40.Qh4+! was the point I missed, winning the stray knight. 1-0 after a couple of moves. Chowaniec Artur took clear first-Well done! Piroska Istvan leads with a perfect score after outplaying me on board 1. I made it to board 1 only to play like a lame and tired old duck. Piroska Istvan had more energy to give to the game and slowly ground me down. MTK was quite successful with the top team tying and MTK II and MTK III winning. Az Újpesti KSE 2. táblán kontumálásért 1 büntetőpontot kapott. I contributed an unnecessarily dramatic win after trying a new line against the King’s Indian. I had no real idea of what I was doing but eventually acquired a good knight vs bad bishop position and a dominating position. 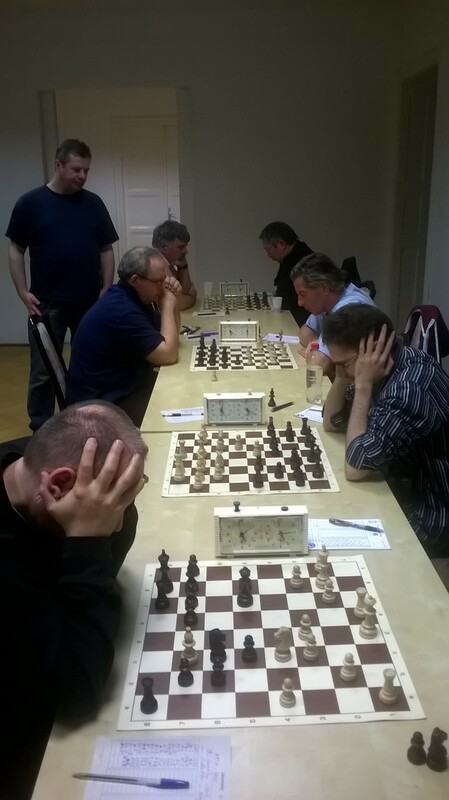 I played the safe 37.f3 instead of the much stronger 37.Rd7! and won a chaotic game after losing control. I was checking 57.Qe4 offering a queen trade but the endgame advantage seemed too small and I searched for something better and came up with 56.Rc2?? winning a tempo by hitting the queen first. My plan was Rc5 to tie Black to the weak b-pawn. Better was something normal like 56.Rd2 just keeping the extra P.
But it was not until I reconstructed the game at home that I realized that 58.Qxf8+?? is an illegal move which neither of us realized in the scramble and White should have lost as having touched my queen I would have to give her away and the game with it.